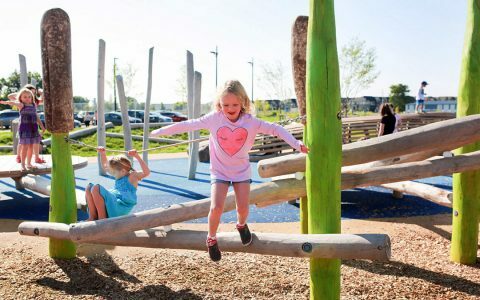 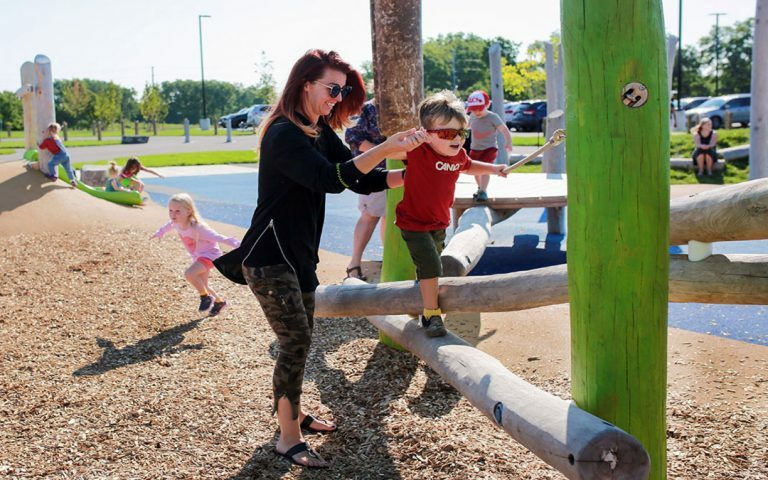 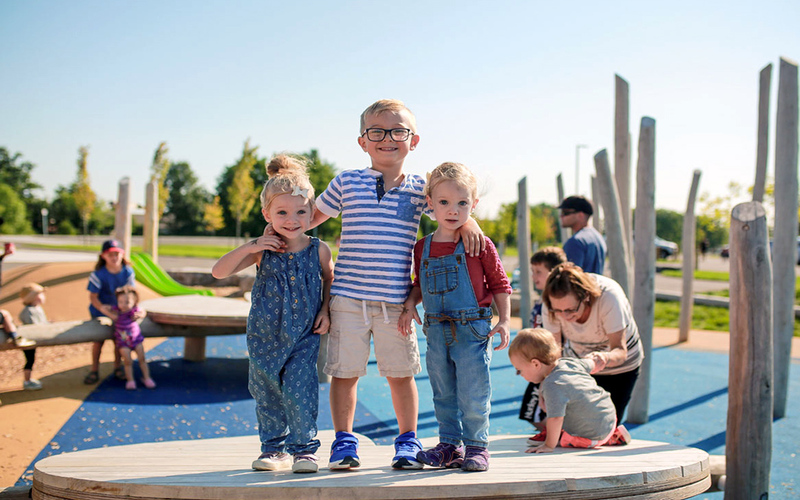 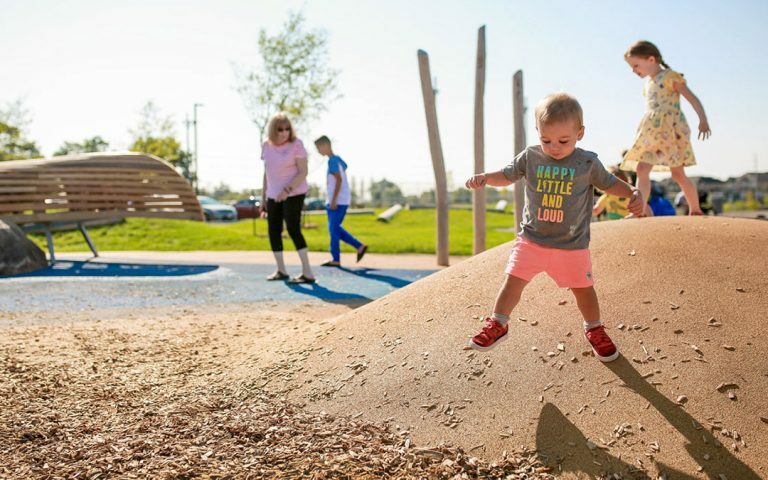 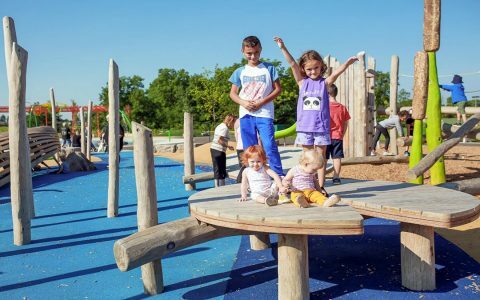 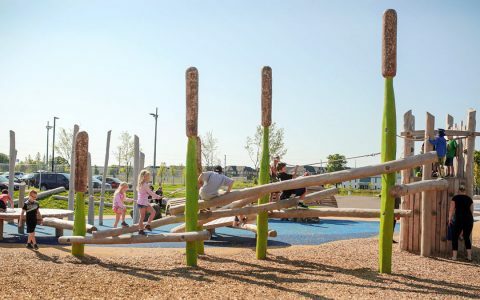 Situated in the Red Hill Creek watershed, the brand new William Connell City Wide Park features a river themed natural playground to mimic the nearby pond and streams. The playground is one of the many features of the deceptively large urban green space on Hamilton mountain. 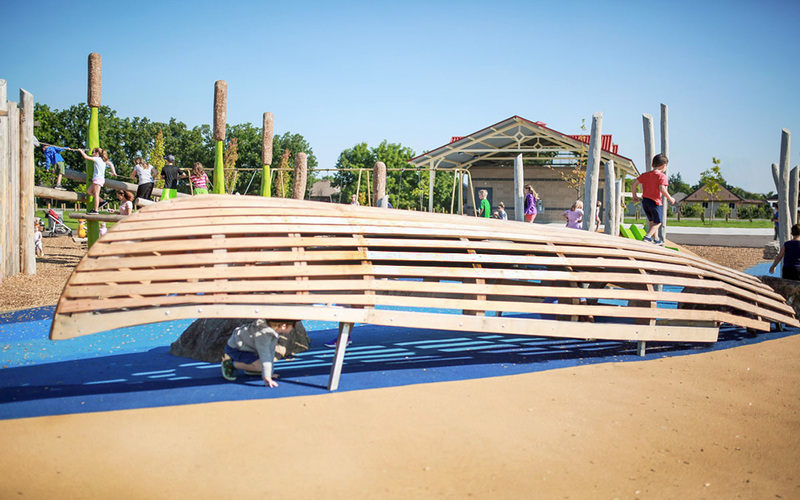 Adjacent to a water play zone, the unique custom built playground provides a multitude of play elements for both older and younger children, encouraging dramatic, creative and active play. 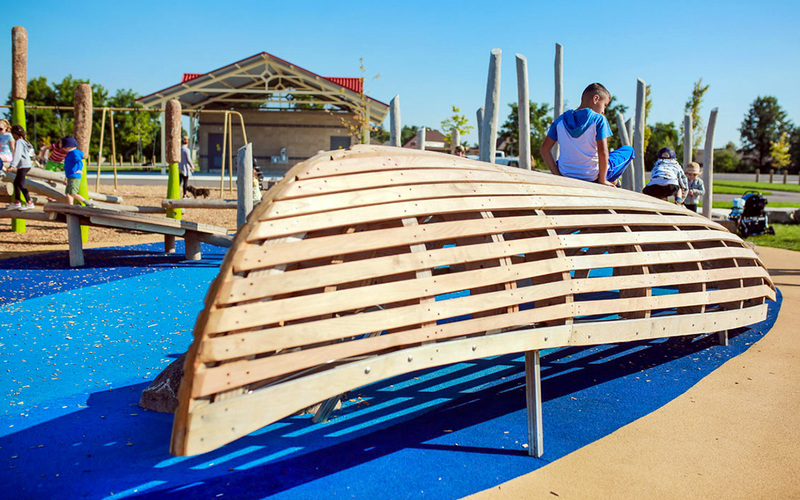 The blue rubber poured-in-place surfacing mimics a river upon which a playable canoe sculpture rests overturned on a rock. 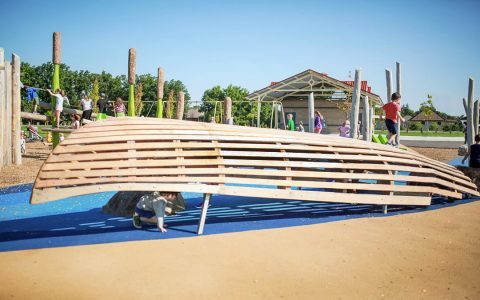 Children love to run the length of the large canoe or clammer inside to hide away, perhaps as a part of a game of hide-and-seek. Angled lily pad decks sit among carved bullrushes that are connected by horizontal logs and ropes for climbing and balancing. 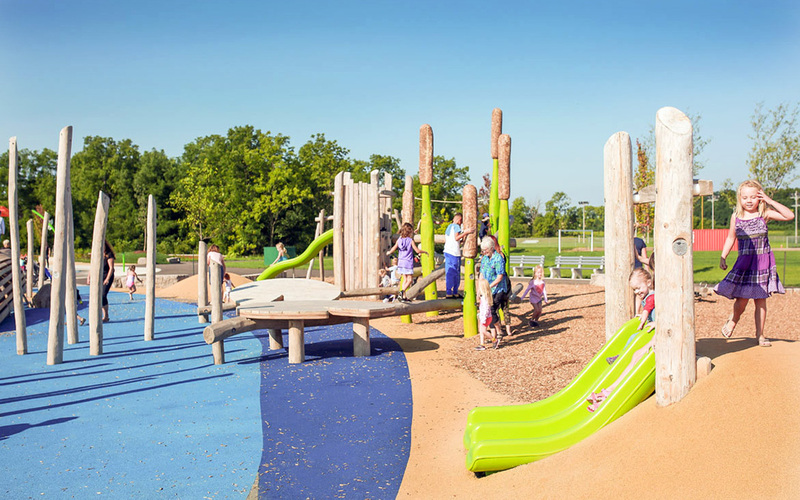 Two slides give options for older and younger children. 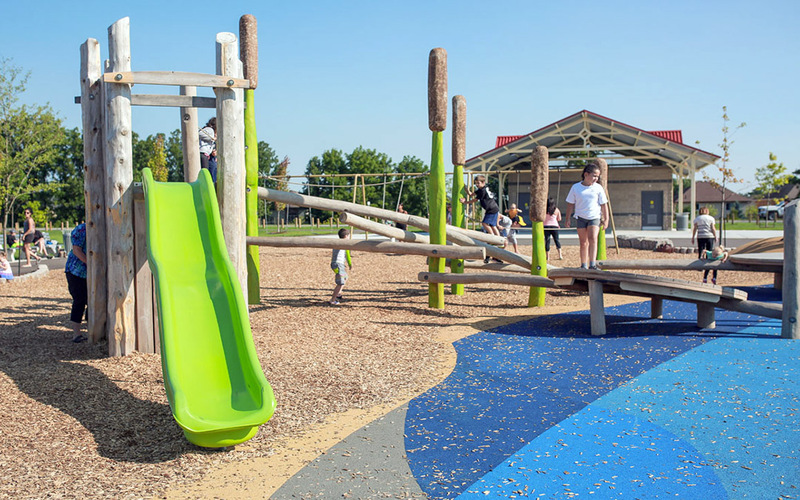 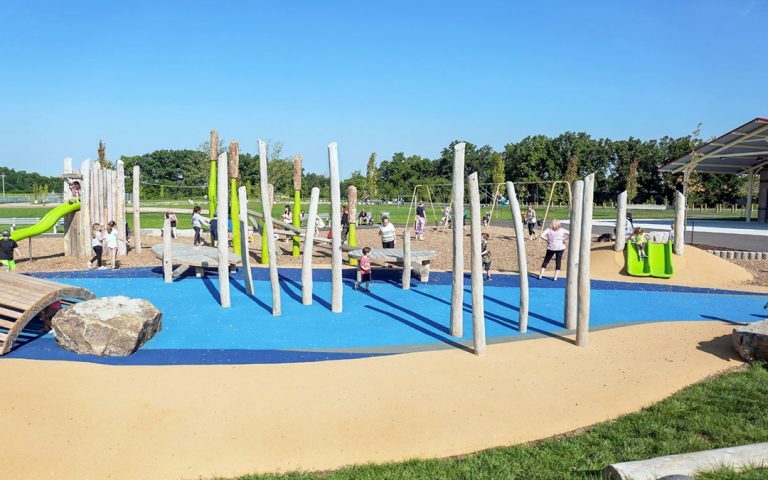 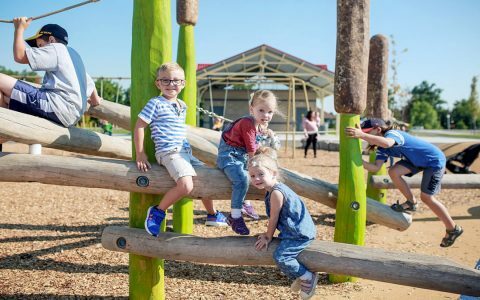 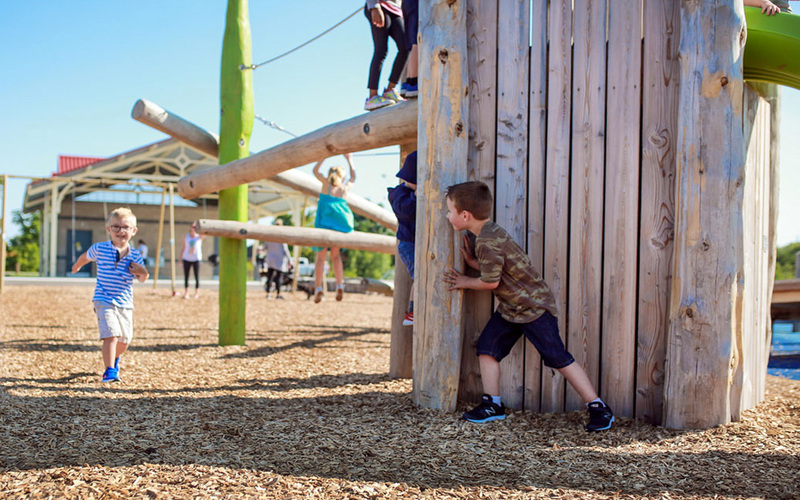 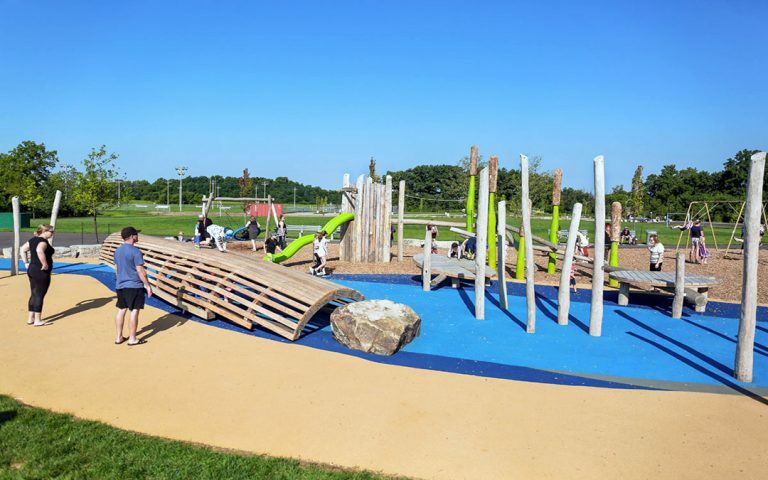 Younger children can run up the small berm to a small hill slide while older children must daringly navigate the log timbers or scale a small climbing wall to reach the larger slide.